Are you interested in learning Mandarin Chinese? Are you searching for a language school to have course? Or are you worried about the long distance from the accommodation to school? Don't worry! Here we make a list of places where you can have Mandarin Chinese course, and also recommend the share houses which are not far from the school. Hope the information below is helpful for you! ✔The regular courses are held once a month at the beginning of each month; There are 3 periods: 10:10-12:00, 13:00-14:50, 15:00-16:50. ✔The intensive courses are held once per month at the beginning of each month, 3 months each term. Minimum of 16 hours of classes per week. ✔Tuition Fee: Please contact them directly. ✔The term for seasonal program is 2 or 3 months; The term for summer session is 2 months; The term for individual class can be 1, 2, or 3 months; The term for express program is 3 weeks. ✔Regular Season Program lasts for 12 weeks (The winter course is only for 10 weeks.) 3 hours per day, 15 hours per week. ✔Tuition Fee: Starting from 2017 fall - Spring, Summer, Fall is NT$40,000 per season; Winter is NT$34,100 per season. ✔Below is the information about Intensive Group Classes; If you want to know information about Individual Classes, please check the website. ✔Course schedule：15 hours per week for elementary course; 10 hours per week for intermediate course. ✔The start of each quarter is on the first workday of the months of March, June, September, and December. Classes are held everyday, barring weekends and holidays. ✔Course schedule：Mondays to Fridays, 3 hours per calss and 15 hours per week. -Course schedule: Mondays to Fridays, 3 hours per day, totally 15 hours per week. -Course schedule: Expected date 8/8-8/26, 6 hours per day, 3 weeks. Totally 90 hours. -Course schedule: The Spring, Summer and Fall terms each last 12 weeks with a total of 180 teaching hours; The Winter term lasts 10 weeks with a total of 150 teaching hours. 15 hours per week. Class times range from 08:10-11:00 or 12:10-15:00 depending on the level make-up and availability of the teaching staff. -Course schedule: Monday to Friday, 3 hours/ day. 08:40-11:30 for the term of February, April, June, July, August, October, December; 13:10-16:00 for the term of January, March, May, September, November. - Course schedule: Monday to Friday, 3 hours/ day, 15 hours/week. 12 weeks for the Spring, Summer and Fall quarter, 11 weeks for the Winter quarter. - Course schedule: 4 weeks for July (2017/07/03-07/28), 4 weeks for August (2017/08/01-08/25). 15 hours per week. ✱The information above is provided as reference. If there is any difference from the website of school, please follow the information of School's website! 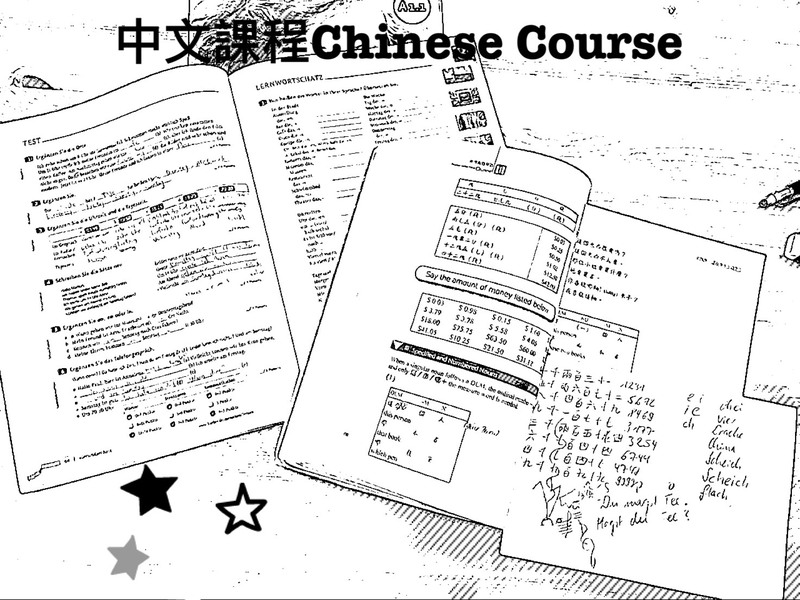 There are so many choices to have Mandarin Chinese course in Taipei, and you can have more chance to practice if you live in an international share house!